Distance from San José: 264 kilometers. Rincón de la Vieja is a strato volcano that soars 1,916 meters above sea level and spreads over 400 square kilometers. It was formed by the simultaneous explosion of several volcanic cones that grew and merged into a single mountain. It has been possible to identify 9 sites of volcanic activity on the summit. One is active and the others are slowly eroding. Hot springs form small streams with very hot water. Solfataric lakes (containing sulfur dioxide) fill small hollows with constantly bubbling muddy water. There's also vapor holes, which become specially active during the rainy season. 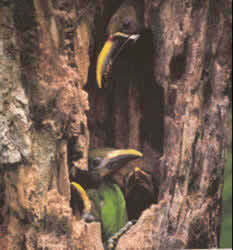 Studies carried out in the park have identified 257 species of birds, including the three-wattled bellbird and the emerald toucanet. 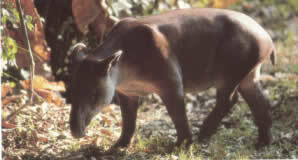 There's also a small amount of mammals that live in the park, like deer, peccaries, sloths, pumas and tapirs. 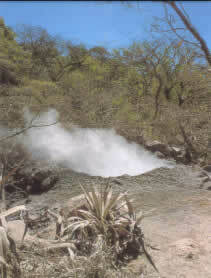 Rincon de la vieja is located northeast of Liberia, in Guanacaste. The park is usually reached by taking a 21 kilometer dirt road, best traveled on a four wheel drive vehicle.